Everyone wants to save money when they’re on holiday, but that doesn’t mean scrimping on the best things to do and missing out on great experiences. We gave ourselves the challenge of seeing how much we could save, but made sure we didn’t miss out on anything Dublin had to offer. What we found instead were even more things to do, from historic attractions, street markets, not to mention the best places for traditional food and cheap drinks. 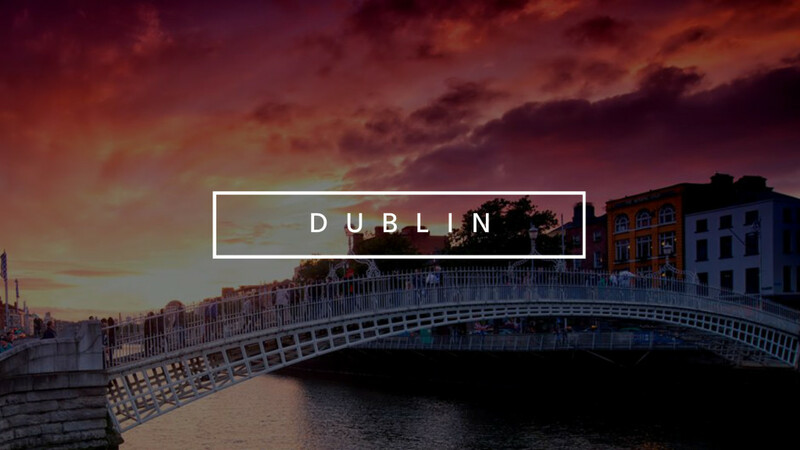 Start budgeting now, and see the best of Dublin! Held on Saturdays and Sundays from 11am-6pm at Temple Bar Square, you can browse a huge range of second hand books from classic novels to modern hits. Temple Bar Square is also a theatre district and home to one of Europe’s oldest theatres, Smock Alley Theatre; one of Ireland’s smallest theatres, The New Theatre; and one of the best examples of a Victorian theatre, The Olympia; as well as one of Irelands best known modern theatre spaces and arts centres, The Project Arts Centre. Free to entre with your Dublin Pass, go and learn about Dublin’s rich literary heritage through fascinating exhibits and short films. You can also see the original door to 7 Eccles Street—home to the fictional hero Leopold Bloom. If you’re feeling flash, you can also buy tickets for Joyce inspired walking tours around Dublin. If you’re a fan of Joyce, follow in his footsteps to Mulligan’s Pub on Poolbeg Street which has barely changed since literary figures such as Joyce and his contemporaries visited it. If you’re feeling really Irish, order a Guinness and sit back and enjoy the atmosphere. Oscar Wilde is one of the most famous people to have come out of Dublin, so celebrate his life and visit his sculpture in Merrion Square. Sculpted by Danny Osborne under commission from the Guinness Ireland Group, this rendering of Oscar Wilde faces his childhood home, just across the street at 1 Merrion Square. If you’re a reader, or can appreciate the literary heritage which runs throughout Dublin, holds an incredible collection of literary artifacts, including portraits and playbills, pipes and typewriters, letters and 1st-edition books, and Samuel Beckett’s telephone and James Joyce’s piano. Author of the childhood classic, Gulliver’s Travels, Jonathan Swift was also dean of St. Patrick’s Cathedral from 1713 to 1745. Today, you can see Swift’s death mask, a cast of his skull, and early editions of some of his published works, including A Tale of a Tub, on display in this historic cathedral. If you want to be well fed without the high price tag, head to Leo Burdocks chippie near Christ Church Cathedral. The fare on offer is simple – battered fish and thick cut chips, freshly prepared and fried in dripping. There is no seating and you eat your food from a paper parcel on the street or take it to a nearby park, but it’s worth it. And if it’s good enough for Bruce Springsteen, Tom Cruise and Mick Jagger – it’s good enough for you! Tuck into 2 for 1 cocktails at The Bull & Castle pub every Thursday to Satruday 10.30pm-12.30am. It’s a great place to head to once the normal happy hours have finished, to carry on drinking for cheap! You know what they say about the Irish… Find it at 5-7 Lord Edward St, Dublin 8, Ireland.